Forum Mall – 4th Floor, Forum Mall, Elgin Road. Mani Square Mall – 1st Floor, Mani Square Mall, E m Bypass. Rowdan Street – 42-A, Ground Floor, Express Tower, Shakespeare Sarani. 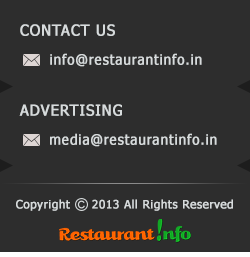 Ballygaunge – 67A, Opposite Tivoli Court, Ballygunge Circular Rd. Beliaghata – P 252, CIT Road, Near Beliaghata, Kankurgachi. Dobson Rd. – 24/25, Dobson Road, Kolkata. Baskin Robbins is one of my favorite Ice Cream Parlor as they serve a very good quality Ice Cream in cheaper Price than other Ice Cream Shops like Swirls or Mamma Mia etc. They have many counters in various prime locations in the city like Mani Square, Park Street etc. The Chocolate Flavored Ice Creams are very good to taste specially Chocolate Chip Mousse and their Alphanso Gold is too good.Fruit Overload contains Fruit Slices. The Tiramisu is another flavor deserves special mention.They offer Flavour of the Month each month and they are worth of trying.